Antioxidant rich drinks are a great way to help you fill up on these powerful nutrients, while also staying hydrated. By ensuring you drink antioxidant drinks regularly, you can protect your body’s cells against dangerous free radicals, reduce your risk of contracting chronic diseases and enjoy optimal health. 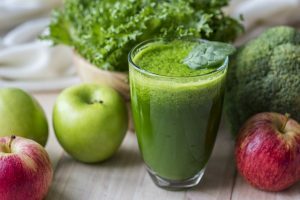 In this short guide we will be taking a look at five of the best fluid sources of antioxidants and their benefits to your body. Black tea is warming, hydrating and can be enjoyed hot or cold. It’s loaded with flavan-3-ols (a group of antioxidants also known as catechins or flavanols that can be found in large quantities in most types of tea). The best part is that black tea contains zero calories, so allows you to fill up on flavan-3-ols without gaining weight. Coffee is a rich, zero calorie, caffeinated drink that can be taken with or without milk. It’s perfect for giving yourself a lift when your energy levels are flagging and is one of the few food sources of hydroxycinnamic acids (a group of antioxidants that are found in high levels in coffee). Green tea has a grassy, slightly bitter taste but is very refreshing. Like black tea, it contains high levels of flavan-3-ols and is completely free of calories. Green tea is available in many different varieties, so even if you’re not a fan of the flavour first time around, you can keep experimenting until you find a blend that satisfies your taste buds. White tea is packed full of flavan-3ols and like the other healthy hot drinks listed above, it contains zero calories. White tea generally tastes similar to green tea but has a fruitier, more floral flavour. However, there are lots of different types available and each variety has its own distinct twist. To make a mixed berry smoothie, combine a cup of your favourite berries with a cup of fruit juice, Greek yogurt, ice or another water based ingredient, blend until frothy and enjoy. Not only are these five drinks highly refreshing but they’re also loaded with antioxidants along with lots of other health boosting vitamins, minerals and phytonutrients. Simply drink one or more of them each day to enjoy all the health benefits antioxidants provide.